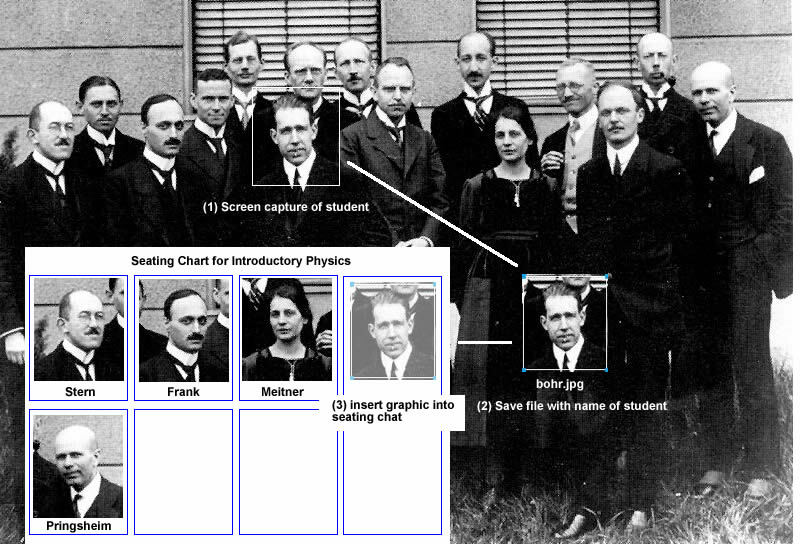 When creating a photographic seating chart, it is fastest to take a picture of groups of students and then use a screen capture to extract photos of individual students as shown in the diagram below. Sample web-based chart for physicists. A seating chart can be made easily in Microsoft Word using the table feature with fixed column widths. Drag the individual photos into a table with fixed witdth cells. Download: (a) Word template, (b) Sample photos; (c) sample seating chart.